The process of measuring gum pockets, also known as periodontal charting, is pretty simple and should be painless as long as there is no infection. At our dental office in Nottingham, when we do a periodontal charting, you’ll hear us call out several numbers as we gently poke along the gum line. These numbers represent how deep the gum pockets are in millimeters. But why are those measurements so important in evaluating overall oral health? We’re glad you asked. What is a Gum Pocket? Before we discuss why periodontal charting is important, we should first cover some terminology. When looking at the anatomy of the mouth, it would appear as if the teeth and gums attach along the gum line. However, there are actually six small spaces in between each tooth and the gum tissue. These areas are known as the gum pockets. What do the Measurements Mean? As your Nottingham dentist measures each gum pocket, you’ll hear several numbers being called out, usually ranging from 1 to 7. You want to hear smaller numbers as these mean a shallower gum pocket and, normally, healthier gums. Check out the guide below for an idea of what each depth can indicate. 3 mm – 5 mm with bleeding is usually a strong indicator of gum disease that’s still pretty moderate. 5 mm – 7 mm with bleeding typically guarantees gum disease is active and may have started to deteriorate bone. 7 mm+ with bleeding indicates aggressive gum disease that will need treatment or surgery to fix. Since gum disease is a serious problem that can lead to tooth loss, other oral health problems, and even whole-body diseases like heart disease and stroke, diagnosing and treating gum disease early is always ideal. 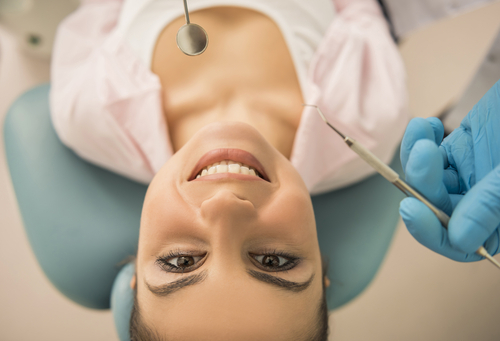 Gum disease treatment can not only make your mouth healthier, it can make your overall health better, too. If you recognize any of these signs, contact our Nottingham dental office as soon as you can.